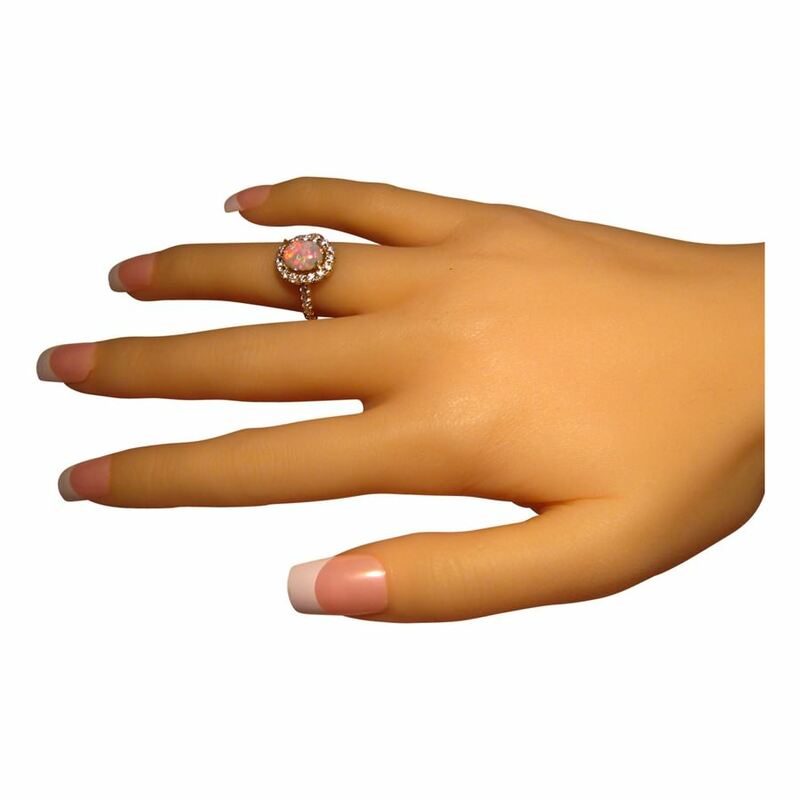 A stunning Opal and Diamond ring with an oval Red Orange Opal accented with quality 2 mm Diamonds and set in 14k Gold. 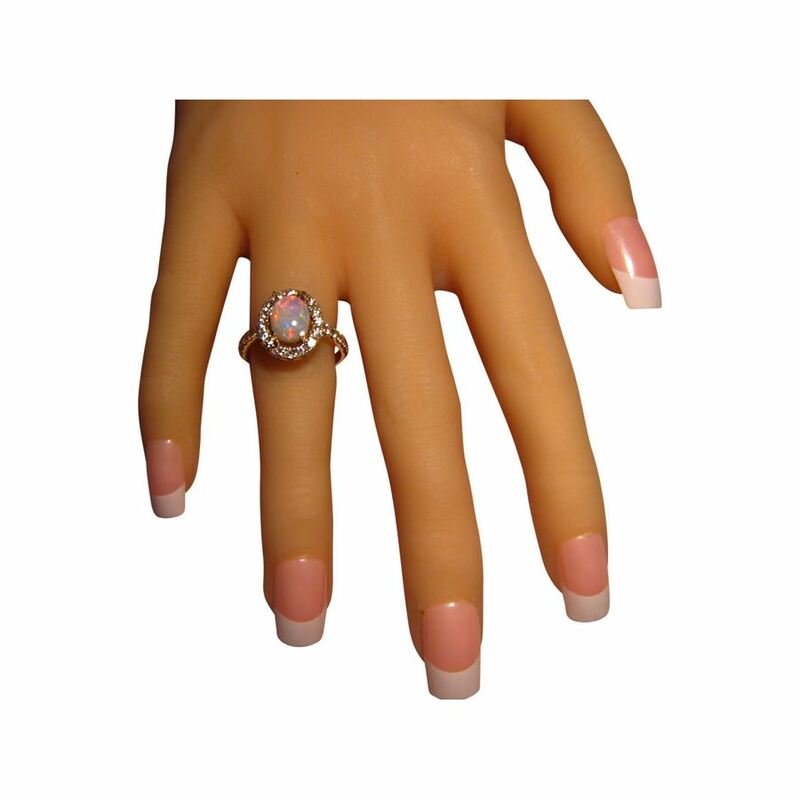 This Opal and Diamond ring is suitable to wear on any occasion and is ideal as an Opal engagement ring. 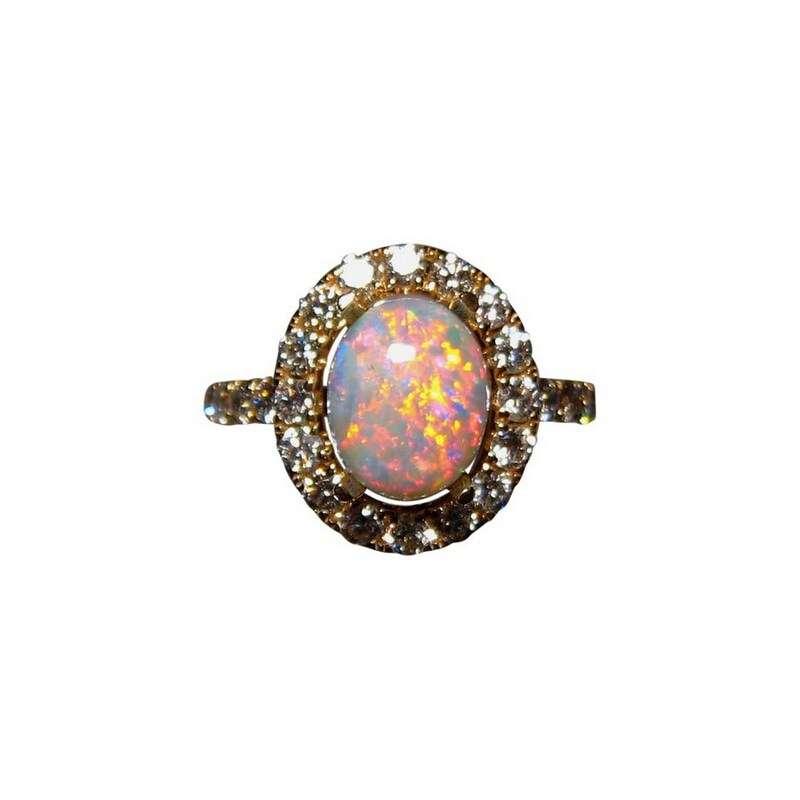 The feature of this ring is the Coober Pedy Semi Crystal Opal that flashes fiery Red to Orange in a Pin Fire play of color and the video below will indicate the pattern and brightness. 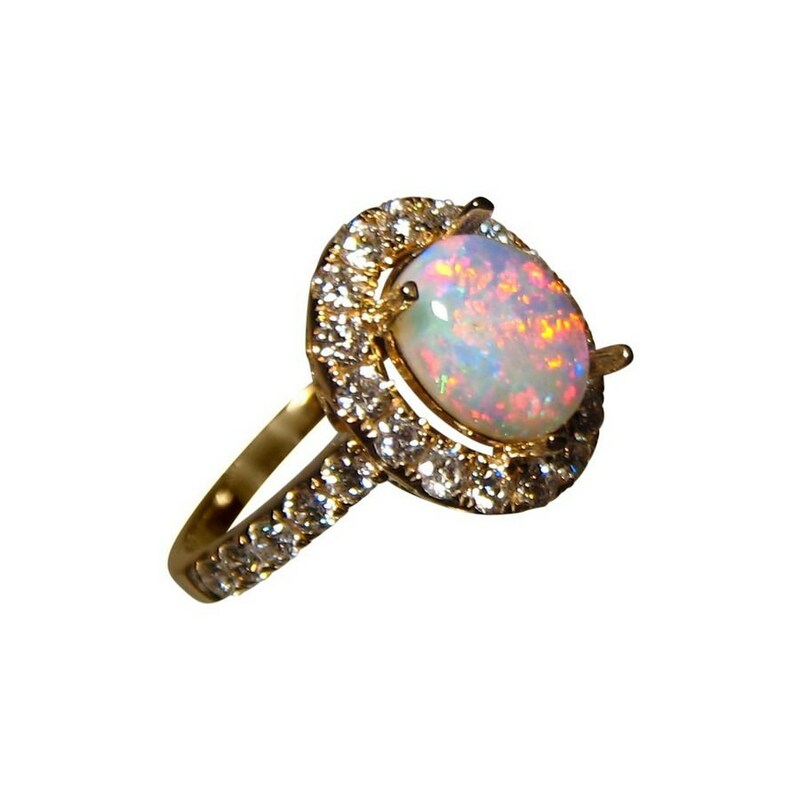 Surrounding the Opal is a halo of top quality 2 mm Diamonds with a further five Diamonds on either side of the band. 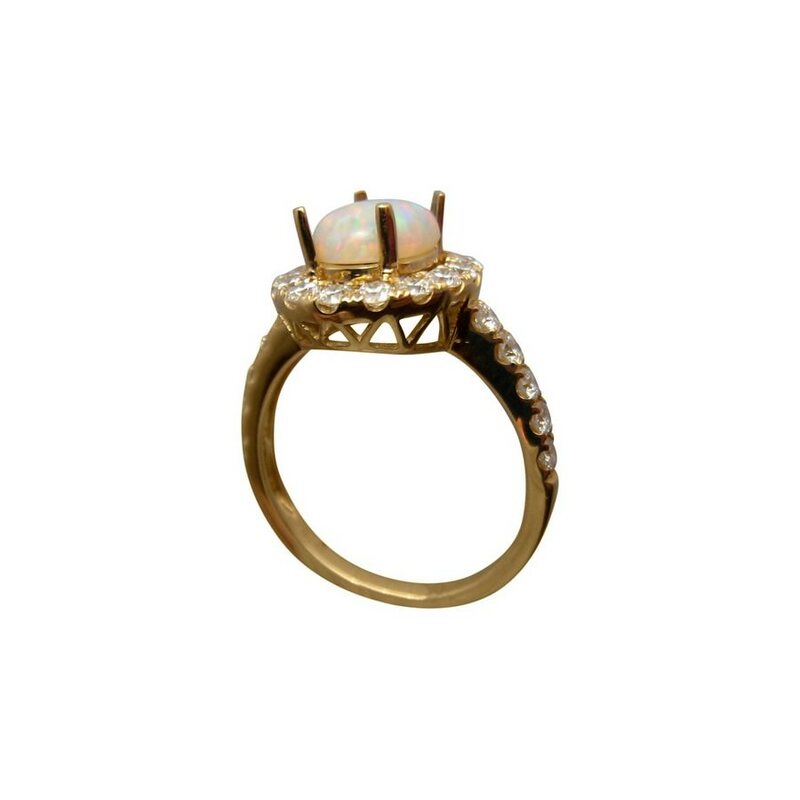 A unique and beautiful Opal ring that is ready to ship in 14k Yellow Gold as detailed below or will take 14-21 days for any other ring size or change of Gold color. 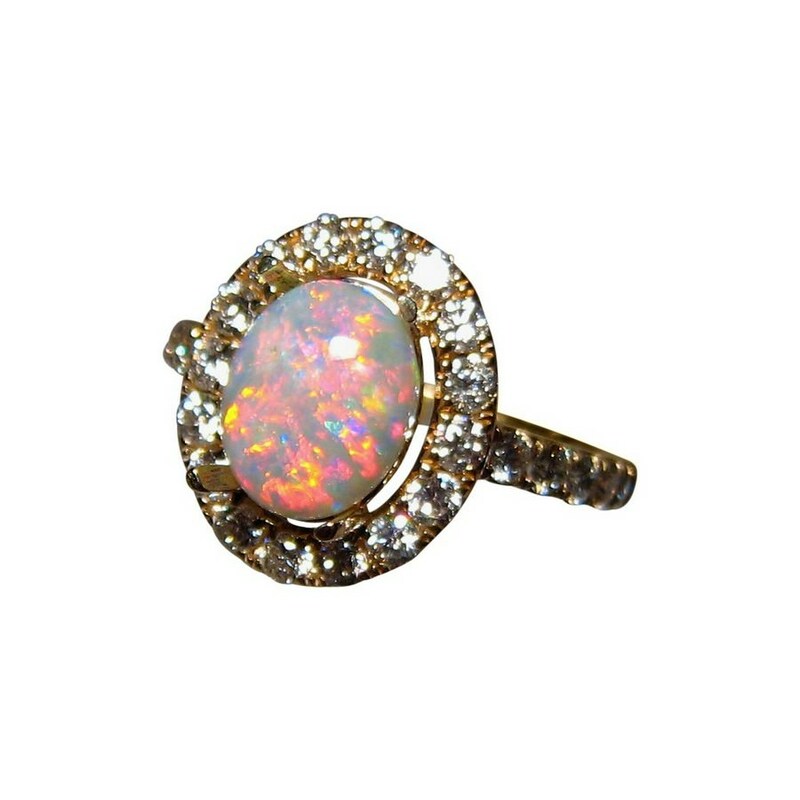 If you would prefer this exact Opal in a different setting, contact through the 'Ask a question' link on this page for a no obligation price.